The low profile ADA 2 channel Guard Dog® cable protector ramp can accommodate two cables (or two groups of several smaller cables) each with a total outside diameter up to 0.75". The ADA variant of this ramp is ideal for use in areas were access for wheelchair users is required, or where access for small vehicles such as golf buggies, carts, and even small trucks is needed. 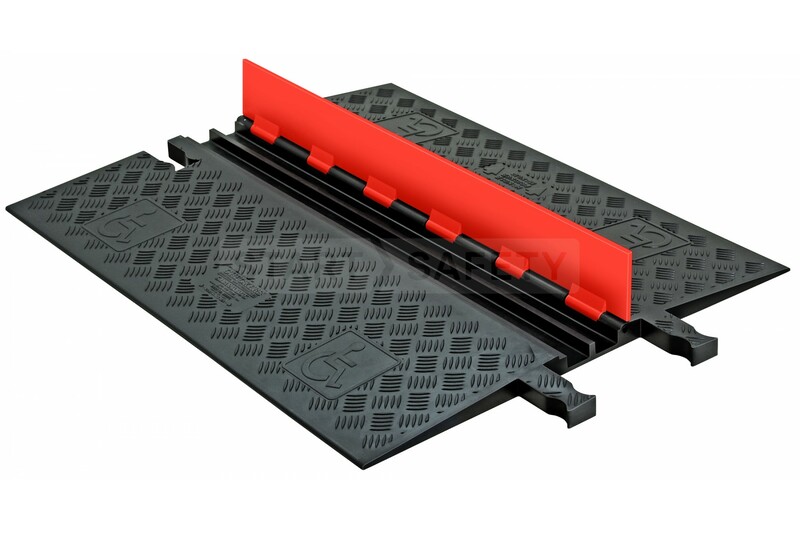 If you need the standard ramp variant it is shown below in the related products. There are also one, three and five channel variants available should you have larger or smaller quantities of cables to accommodate.